Before I set on the main topic here, while watching yet another Disney Channel series rerun, I thought I'd let ya'll in on something here since I've been called many terrible names because I do watch the Disney Channel. First at the hours that I really get to sit down and watch anything on TV any more there is nothing and I mean nothing really anymore to watch on TV at 02:00 hours(2:00AM for you none military out there.) so its get into the offerings on the Disney Channel. Let's face it, first CMT takes off the reruns of the Dukes, which would be fine if the stuck ups at studios such as Warner Brothers would put on a series of say a retweaked or updated version of the Dukes. I thought for damn sure that John, or before his death James Best or such would have written and produced a new series. 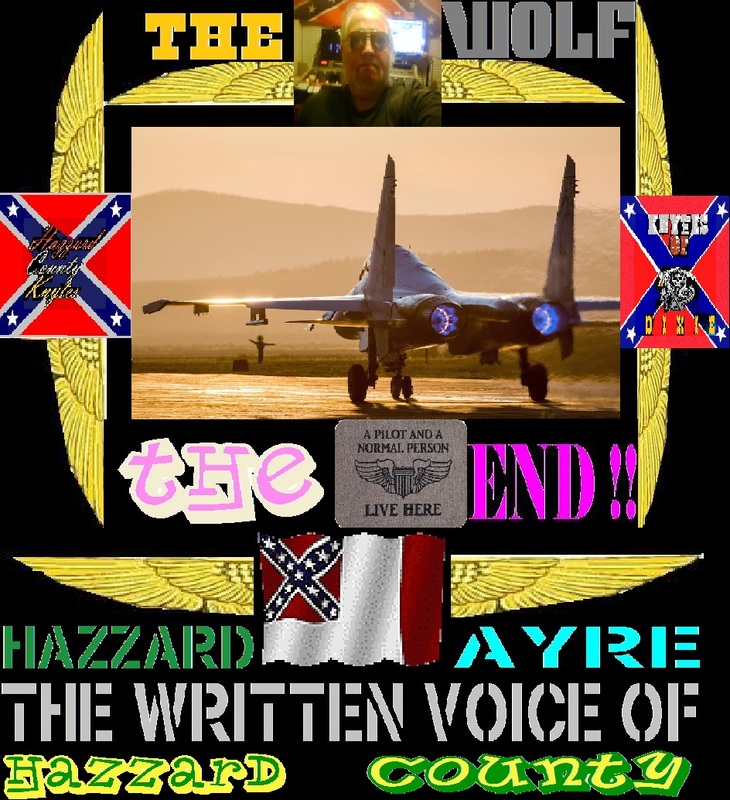 Of course they are not to be totally faulted since even us here in the Knytes as well as the WolfPack, would have had our movie in production called the Hazzard County Knytes(knights) done. The film was a pilot to entice the powers that be to allow a Hazzard flavored series to bloom. The basic concept was to be a Club bio, coupled to a half Dukes, half Hollywood Knights thing that also brought in a garnishment of Airwolf, to make it an all around hit. Again had myself and a few others agreed on the ghost writers and outside casting staffs that might already be in motion, but another year wont hurt on waiting on that. Okay then with SOA, the Dukes, and Airwolf and even Baa-Baa BlackSheep no longer on satellite/cable line ups, and certainly no B.J. & The Bear, Movin On, to name a few, what's a lone Wolf to do? You watch the Disney Channel. Of course this is not where that started. Back at the turn of 2011 to 2012, as SouthernSteele Media our communications subsidiary, was in the motion of buying a small radio station near Rupert, Idaho(KBAR-AM1230) however at the last minute the sale got pooped on by a few prior commitment consignees , so that was that, however the idea for day time hours radio was putting Radio Disney on KBAR(what was to be KDXB) and then me do the HazzardAyre and Dixie Diesel Trucker Radio thing evenings and overnight. Even in grand mini Cassia area of Idaho the on air talent is a bit thin. So if one was to keep even some of the overnight offerings in continuity of Radio Disney during the day, might as well get to know the concepts of the Disney Channel, so I started watching the Disney Channel. At first I started watching Wizards of Waverly Place, starring Selena Gomez, who I rapidly fell in love with as a artist and performer. Then came Shake-it-Up, which got me into Zendaia and so on. There is some damn good people writing some even better programs and shows, most are one of's such as Decendence2 and a few others. Of course the recently killed Girl-meets-World was a switch back to a series I watched as a teen called Boy-meets-World. The list goes on, but the Disney Channel was blooming. Then some rearranging of heads of operations and management and so on at ABC/Disney that also owns ESPN took place, money got tight and some high priced series got canned. But I'm not a perve just because I watch the Disney Channel. Okay then; this Wolf thing. When I started in radio as a project for our FFA(Future Farmers of America) Chapter in Hazzard, Idaho I had no real style. Mostly I had duplicated the styles of Skinny Johnny Mitchell of KCPX AM 1320 Salt Lake City Utah fame since that's where I got my first taste of radio at age 7. I really had no intention of going into the business. I had my eyes on aviation and flying, maybe even NASA or such until the space program pretty well went sour, and we moved to Hazzard in 1971. Once in Hazzard, Idaho; flying or anything like that was about like telling Mormon pioneers someone was going to invent the computer. 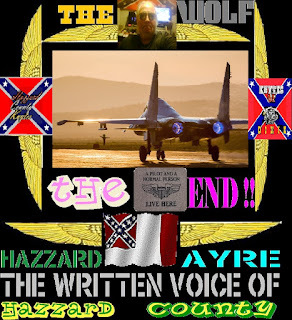 It was Jules Vern stuff to Hazzard-ites and they just thought it to be nuts. Then at age 12 , Mr. Ills said is there anyone in the class(ag/farm education class) that want to do our weekly FFA report at KART AM 1400. Of course I raised my hand, and that was the strike of the match. Soon I was going up there at 4:00PM on Friday nights, I did the report, then Kim ,Kent, Lee and I started messing around as kids do every week, and one evening there was this hour in the then newly signed on elevator/big band station of Kim, and Kent's Dad's station called KFMA FM 92.7. Long before it became Z-103. So there we were. Fully automatic radio was in pioneer stage at that point. There was a company called Drake/Chanault who produced hours of music tapes on big 20 inch reels. ultrasonic tones on those older computers told the system when it was time to air an ad, or go back to playing music. Of course as luck or divine inspiration would have it, the automated system could be over ridden and go LIVE. Well Kent Lee told me how to do that. So I went in, dug out some oldies rock & roll, and started doing radio. Al Lee Kent and Kim's Dad said he liked it, so after the FFA thing on KART I was going over at 6:00PM on Saturday nights, doing a thing called Saturday Night Dance Party. Of course that progressed to me at then KEEP AM 1450, where I did news and some sports then my own thing, then was the silent invisionary over a thing now called KEZJ, Then to KLIX AM1310, over to KMTW FM 96.5(now KLIX FM) where Long Haul Trucker Radio(now Dixie-Diesel Trucker Radio started). Now during all this in finding a style and all, I had went by the on air name as WolfMan Pat. Seemed innocent enough, then of course there came my call to active duty in the Marines with the 214. Well a spot on weekends opened up on AFRTS or Armed Forces Radio/Television Services and I was spinning records and barking the latest skuttlebutt of the different air squadrons and so on. 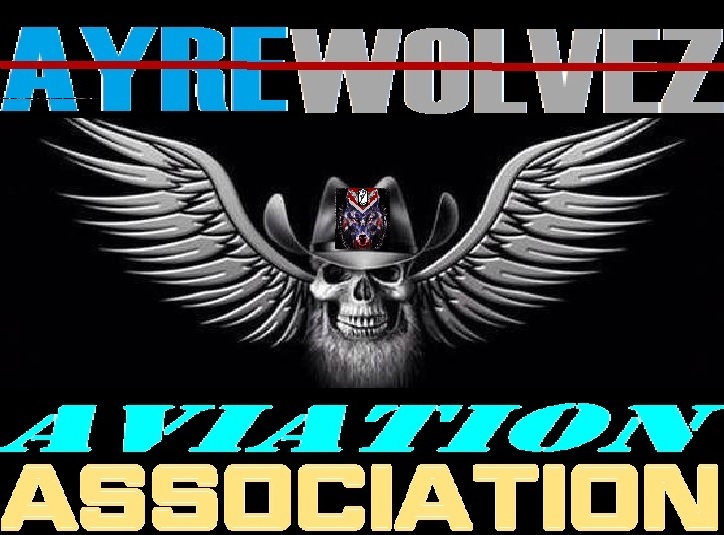 So the transfer to AirWolf was made in 1988, which made a TV production producer a bit upset, couldn't have the same spelling as his TV sow, so AYreWolf came to replace AirWolf and that might be a that's history moment, except, there was a stretch in our squadrons command and I was relegated to becoming Active-Reserve status, as such to put food in my belly and just to keep busy, I took a job from a bunch of pushing from my cousin that squandered most of the Montgomery Foundation's money, but it was there fixing tires for the Church of Jesus Christ's trucking fleet, (yes they have one) called Deseret Transportation, that then President Hinckley came through the shop one day. Then as now I did not hide the fact that I used Skoal, drank coffee and certainly did not hide the fact that I like desirable women. So President Hinckley sat down on a stack of tires, with me and we had a chat, a rather long chat. In that with a bunch of things, President Hinckley said he had heard my AFRTS radio shows and some of my syndicated stuff and liked what he heard. Although he went on to say, that it was a bit racy it got people thinking, thus he said," boy your very much the Wolf in amongst the Sheep" Meaning I was one of the few of the Church that wasn't afraid of speaking my mind, in Church, on the Church or out of the Church. He said its good for the members to be shook up as he said it. Before he left me that day, he said that he gave his personal blessing to me to continue to be the Wolf. And as such the tag has stuck. So you might say that it was with the gift of a Church authority that I became the Wolf of the airwaves, and that really now is history. Any mile, I need to hit the bed , long day today, Church then shop. 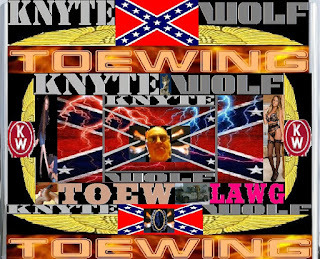 Find me on air at 08:00 on Spreaker.com/ayrewolf.